The drastically different hairdo she shared on social media earned big reactions from her fans and followers. 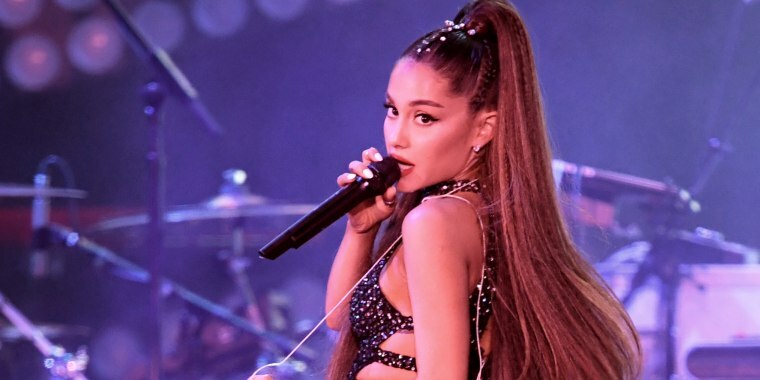 Post-breakup 'dos are nothing new, but the fresh look Ariana Grande debuted Thursday, one month after her split from former fiance Pete Davidson, has fans and followers reeling. That's because it appears the singer just said "Thank U, Next" to a partner that's been with her much longer than her "SNL" ex was — the signature high ponytail she's worn for years. Grande revealed her fresh look via a filter-enhanced selfie she shared on Instagram without caption. And frankly that pic didn't need one, since her shoulder-sweeping, caramel-colored, trendy lob did all the talking for her. The comments that followed the post featured expressions of shock ("OMGOGMGOG") and loss ("Noooooooooooooooooooo"), but outnumbering those sentiments were raves ("luv the queen's new crown!"). Of course, this isn't the first time she's ditched her waist-length ponytail. In September, after wrapping up the final performance of "The Sweetener Sessions" tour in London, the 25-year-old shared a video that showed her long locks flying across the room while she remained off-screen. In fact, despite having such a long-running signature look, Grande's never shied away from changing up her hair in some ways. Whether it's the rare occasion that she wears it down, pulled back in a headband or the many times she's showcased new colors, she obviously enjoys tweaking her style every now and then.